St. Martin’s Episcopal Church is the newest partner of the Cool Davis Partners Coalition. The church works through the Care for God’s Creation Commission to reduce the carbon footprint of the church buildings and encourages members to implement similar steps in their households. The Commission is most proud of their recycling program, which diverts most of the building’s waste from the landfill. This includes composting waste from Davis Community Meals, which are served three days a week at St. Martin’s.The church had some solar panels installed previously and will be adding more this spring to reduce electric bills by 70%.They are working with their church’s Landscape Committee and Buildings and Grounds on design of a low-water-use healing/meditation garden. 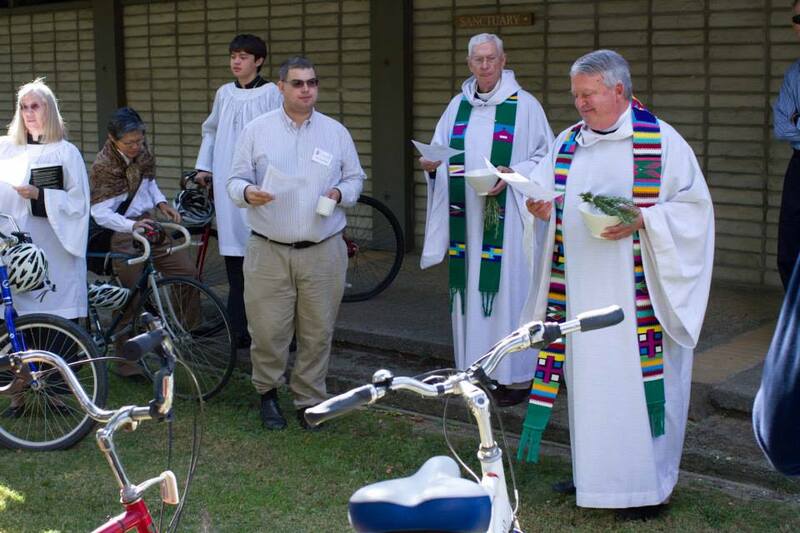 Members of the Care for God’s Creation Commission participate in the Interfaith Alliance for Climate Justice, and they took a lead in the Travel Lite program to encourage members of all congregations to walk, ride bikes, use transit, or carpool to worship. Recently they loaned out watt meters for church members to check for phantom energy use and note sources of energy waste at home. The Church of St. Martin, led by it Care for God’s Creation Commission, chose to join the Cool Davis Partners and the Interfaith Alliance, knowing that we are all stronger when we work together. They appreciate coordinating with other faith groups, for example on the upcoming March 30 Interfaith Climate Crisis Conference: Putting our Faith into Action. They have sponsored the Cool Davis Festival and look forward to more involvement.